Grab some barbells and let's pump some iron! These unique return address labels are for people who know that feeling the burn can feel pretty good. You're building muscle and burning fat after every repetition. With each workout, you are sculpting your body into a lean, mean machine! 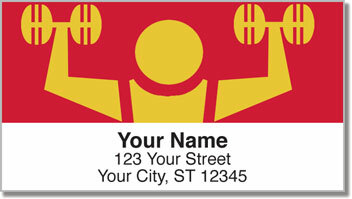 Weightlifting Address Labels from CheckAdvantage are great for folks who are all about staying fit - not just bodybuilders and gym rats! 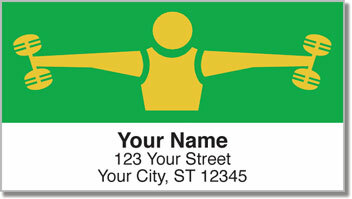 Plus, you'll love how simple these self-adhesive labels make the chore of preparing letters and packages for the mail. Just stick them on every envelope and be done with it! 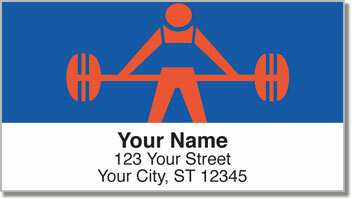 Order your very own Weightlifting Address Labels today! 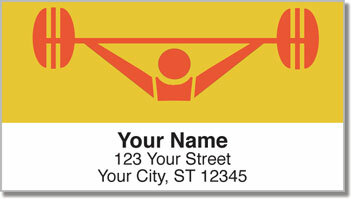 We also offer this design in matching personal checks.